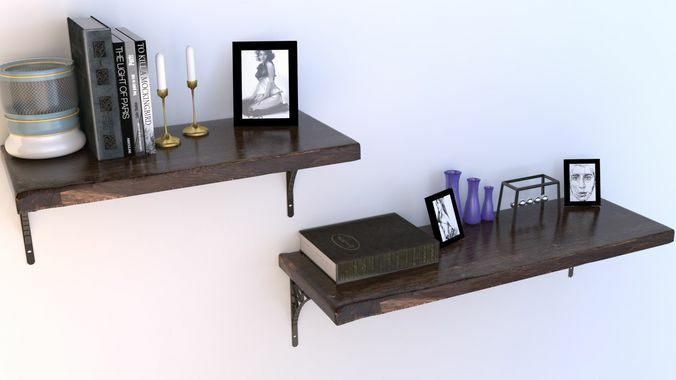 Raw cut (style) wood shelves with Decor & metal (lattice work ) bracket supports. includes shown Books, Candle sticks Candles, Vases, picture frames & toys. Mental Ray satin wood finish with variant wood texture map. (included in zip file) Zip File has textures.